Digi-Schlock: THE STRANGE CASE OF DR. JEKYLL & MISS OSBOURNE (Arrow Video U.S.A. Blu-Ray/DVD Combo Pack) – Schlockmania! Walerian Borowczyk is the kind of challenging filmmaker, both in terms of content and style, that needed cult home video labels to rescue his work from critical indifference. The DVD era saw him getting many quality editions of his films but he hasn’t really crossed over into the blu-ray realm too often. 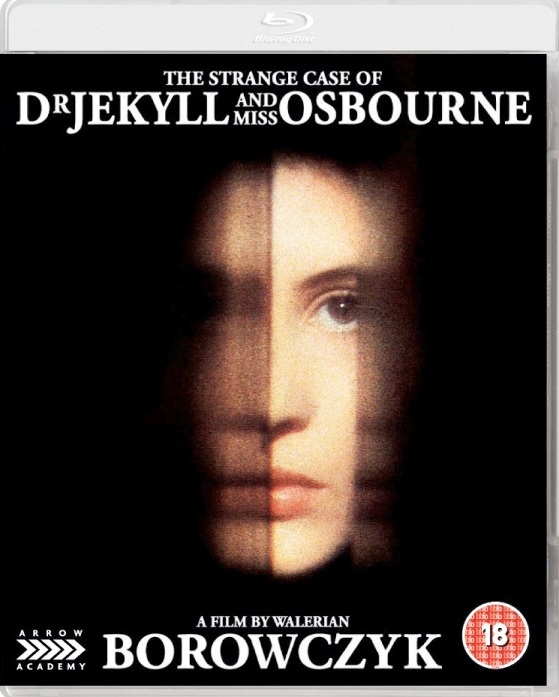 Thankfully for his fans, Arrow Video has picked up the gauntlet with a blu-ray/DVD combo set of The Strange Case Of Dr. Jekyll And Miss Osbourne. The results are both a wonderful rescue job for an ignored film and a nice tribute to the director. The transfer used for this release is a new 2K restoration of the film supervised by its cinematographer, Noel Very. It looks wonderful, capturing the film’s heavily diffused look accurately while bringing out color and detail that make it truly sumptuous. Both English and French mono tracks are included in lossless form, with English subtitles for the latter. Both sound nice and clean. This set also boasts an impressive array of extras. It starts with a commentary track assembled by Borowczyk expert Daniel Bird, who has a hand in many of the extras included here. It mixes material from a variety of interviews with the director’s collaborators and friends but an archival interview with Borowczyk himself that recorded during the editing of the film. He offers some fascinating insight into the film’s themes and his influences. You also get some interesting memories of his philosophy and working habits, plus technical details on how the film’s distinctive look was achieved. 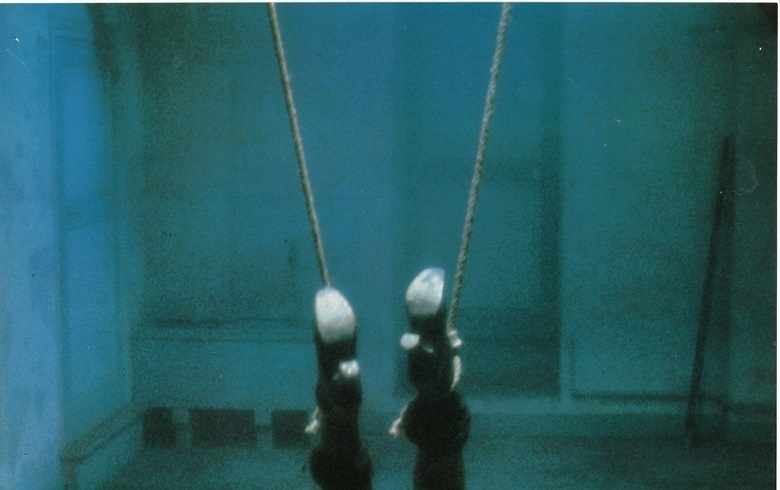 The first of the video-oriented supplements are a pair of short films. The first is Happy Toy, a 2-minute animation from Borowczyk that finds the director combining his love of vintage cartoon art with a little subversion. The other short is Himorogi, an homage to the director made by star Marina Pierro in collaboration with Alessio Pierro. It’s a silent piece, scored by Bernard Parmegiani’s compositions, that emulates Borowczyk’s love of antiques and photography, plus a little stop motion animation. Next up is a section of four interviews. The first is a 10-minute chat with Udo Kier, who expresses an appreciation for Borowczyk’s aesthetic precision as he shares memories of working with the director and thoughts on the cast. The Pierro interview is an audio piece supported with stills, in Italian with English subtitles. She goes into great detail about his style of directing actors, talks about Himorogi and her comments overall reveal her to be a true artist; one that is intellectual and deeply aesthetic. An interview with Alessio Pierro goes into greater detail on Himorogi, with the filmmaker explaining the imagery, its connections to Japanese culture and the profound influence that Borowczyk had on him as an artist. Along similar lines, the final interview is with Sarah Mallinson, the wife/collaborator to animator Peter Foldes. He was a contemporary of Borowczyk’s with similar ideas about film and Mallinson explains how the two connected. She also offers a little insight into the production of Happy Toy, on which she worked. The remaining featurettes are devoted to critical analyis. Michael Brooke offers a 32-minute appreciation. He starts with an engaging tale of how sneaking into a screening of The Strange Case Of Dr. Jekyll And Miss Osbourne sparked an obsession with Borowczyk’s work. He offers a detailed analysis of this film before launching a concise history of his life. It’s done with intelligence and dry wit, offering a great way to get acquainted with Borowczyk’s work. 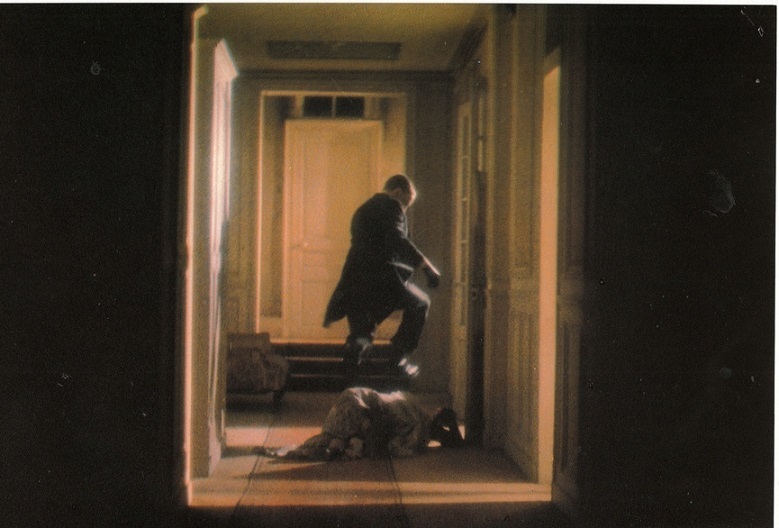 Going even deeper, “Phantasmagoria Of The Interior” uses a Vermeer painting depicted in The Strange Case Of Dr. Jekyll And Miss Osbourne as a jumping-off point to explore the film’s themes and the way Borowczyk’s approach to cinematography is a vehicle to express those themes. “Eyes That Listen” devotes ten minutes to composer Bernard Parmegiani, providing a brief bio and exploring his collaborations with animators and Borowczyk. “Return To Melies” is a 7-minute look at George Melies’ influence on Borowczyk’s love of blurring fantasy and reality, with additional material on how early cinema in general is a deeply felt influence in Borowczyk’s work. The on-disc extras are rounded out by a French theatrical trailer. The French audio elements were lost for it so you get three alternative choices: a music track, the audio from the English trailer and a commentary track. As usual with Arrow releases, a final extra is provided in the form of an extensive booklet. Several essays by Daniel Bird are included on the main feature and the short films as well samples of the film’s reviews and an extrac t from the screenplay. In short, this is an amazing set from Arrow. The transfer is fantastic, the supplements are many and informative and, best of all, it breaks new ground for the treatment of Borowczyk’s work on home video. Anyone who appreciates his work – and anyone who appreciates films that blend the transgressive with arthouse concerns – will want to pick this impressive set up. To read Schlockmania’s film review of The Strange Case Of Dr. Jekyll And Miss Osbourne, click here.